Well it's finally done! My menswear jacket is complete and I couldn't be happier. For this project we had to make an outfit for well...for men. It could be inspired by anything, finally no requirements! What a process! I have never made anything for men before but I always thought I would want to expand my market to menswear and womenswear. I really wanted to make this jacket perfect too because my previous things were just okay. Nothing special but nothing amazing. I looked at menswear clothing in stores to see how they put everything together, went and bought a pair of pants only to deconstruct them and take them apart, and piece by piece everything started to fall into place. I really love how it came out and I've been getting nothing but great feedback from everyone which makes me happy to actually believe in myself for once. 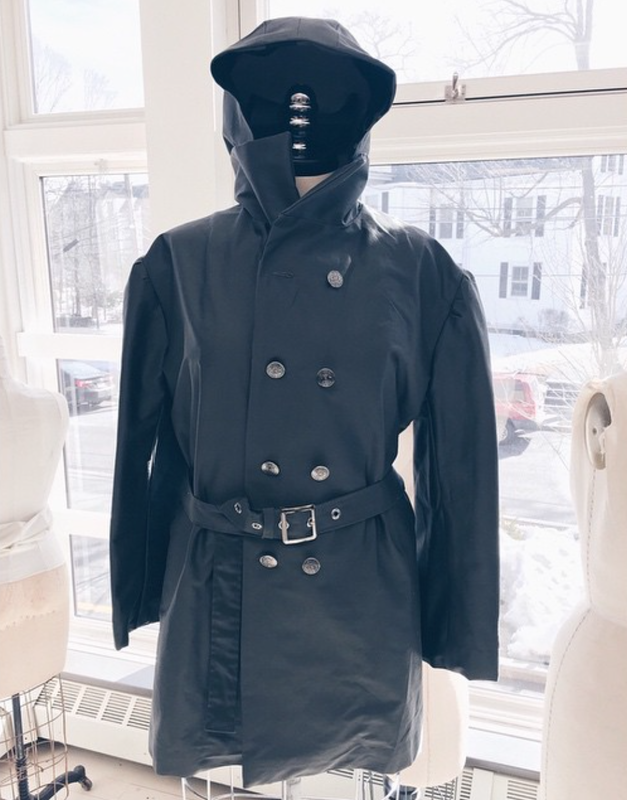 The jacket is a modern take on a trench coat. The hood is attachable so if you want to you could take it off and just have a high collar or keep it on. I lined it with camo lining and added a belt to it. I also made jeans to go with them but not classic jeans. More of a chino jean. Chino style but in denim fabric. Let me know what you think of the jacket! I can't wait to see it in the fashion show!